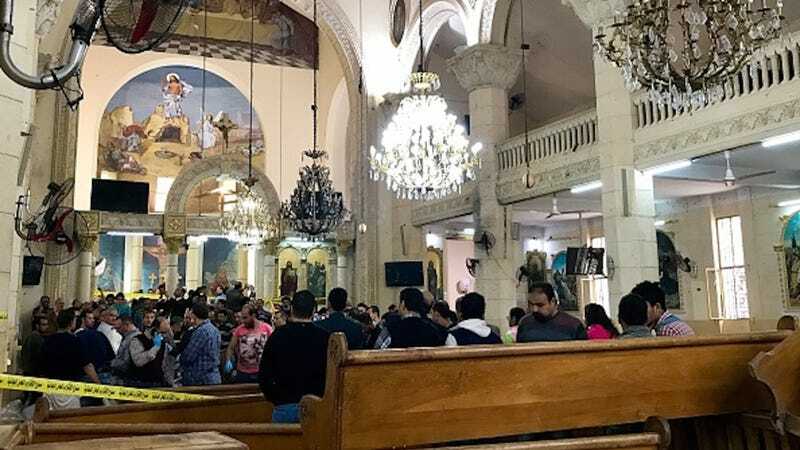 Christians across the world celebrated Palm Sunday on April 9, but at two Coptic churches in Egypt, this gathering ended in bloodshed. Forty-four people were killed in two bombings, and as of this evening, ISIS has claimed responsibility for these atrocities. As CNN reports, Coptic Christians are a “vulnerable minority” in Egypt, and this attack—carried out by suicide bombers—fell on one of the most significant days on the Christian calendar. Via the Telegram messaging platform, ISIS sympathizers identified the bombers as Egyptian nationals. However, their nationalities have not been confirmed by the Egyptian government. Egyptian President Abdel Fattah el-Sisi has called a three-month state of emergency.